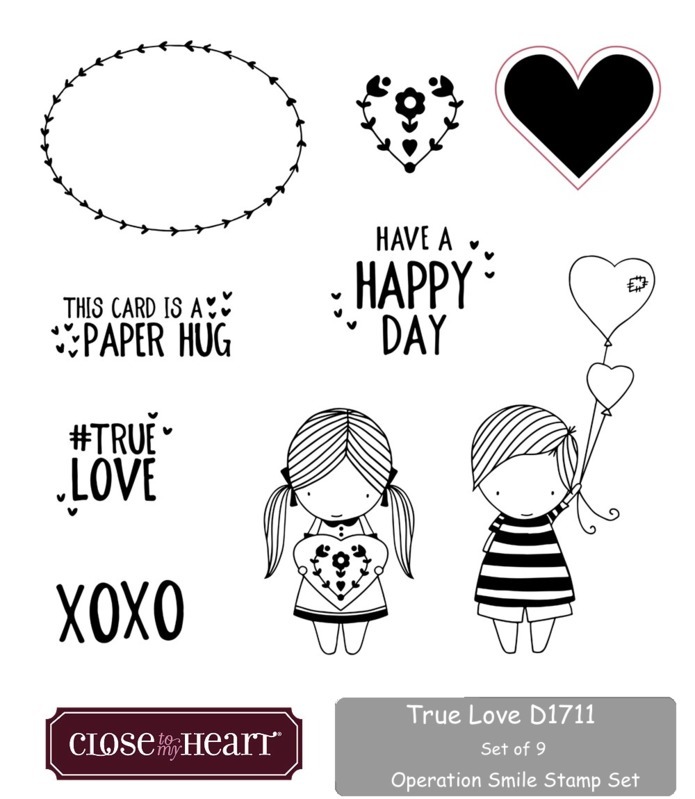 We are thrilled you are joining our Blog Hop where we are featuring this adorable stamp set, "True Love". 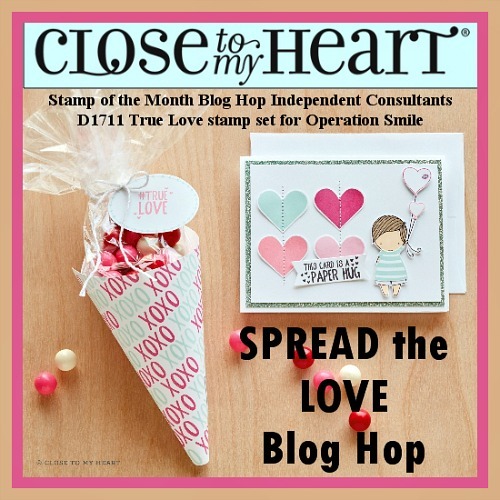 It is our Operation Smile stamp set which means a portion of the proceeds, from this stamp set, is donated to this organization that puts a smile on the faces of children with cleft palate. If you are coming from Melinda's Blog, you are on the right track. You can find a list of participants on her blog. I love the sentiment, "This card is a paper hug". It's perfect for what we do, don't you think? 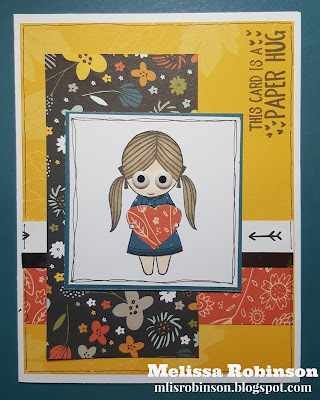 I paper-pieced the li'l girl's dress and the heart using the Swan Lake paper pack. The two times I have created a card with her I have incorporated the google eyes included with the Jeepers Creepers Assortment. I think it just makes her even cuter. LOL What do you think? 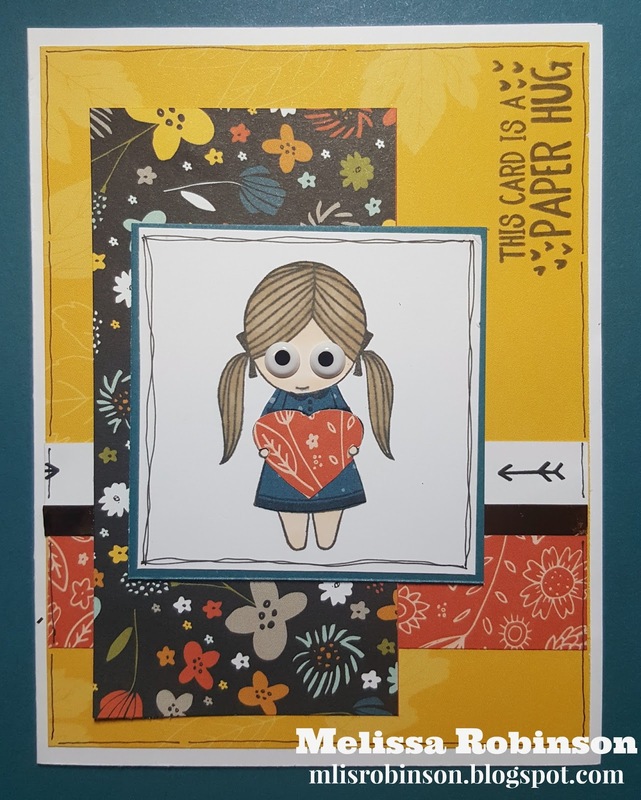 Head on over to Darlys' Blog to see what she has created with this cute stamp set. Thanks for joining us and happy hoppin'! The eyes are cute! I think it makes her look a little shy. Great card! Love the eyes. I wanted to put glasses on her next...to match my not so little girl! So fun ~ love the eyes! Let's Celebrate My 18th Year Anniversary! Our 2017 Planner IS HERE!